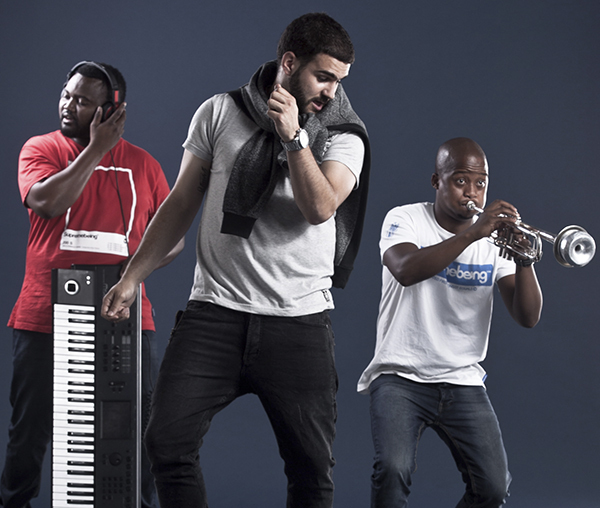 Micasa’s album Sucasa recently went double platinum, DRUM caught up J Something, Duda and Mo T to talk about their success. Congratulations on going double platinum. Mo T: Thank you, we are still humbled and grateful for it. J Something: It’s amazing, we thank Jesus. Duda, you seem to be the quiet one of the group. Is that the reality even when you are away from the cameras? Duda: No actually I do speak but am also reserved, but when we are alone in our space we just jam and talk away. Okay, as musicians are there any songs you have listened to and thought; ‘I should have written or produced that first’? Duda: Yes, Easy to love by Bucie featuring Heavy K. That song is everything, the beat, production, lyrics kill me. It’s an awesome jam. J Something: I have many of those songs. Two in particular are John Legend’s All of me and Michael Jackson’s Rock My World. From a song writing perspective they are flawless. Mo T: Mine is Complicated by Ram GUM featuring Kafele. J Something: Singer and songwriter of the group Micasa. He is passionate about changing perspective of how women see themselves. I am also passionate about life, music, food, Jesus and love Mo T and Duda, they are great brothers and friends. Duda: A great producer, believes in fresh things from music to life. Mo T: A great trumpeter who is humorous and loves life and being himself. Mo T: To be together as a group for a long time and travel the world. It’s your birthday in September J what are you planning? J Something: Something exciting in PE. I'm a 29 year old woman looking to meet men between the ages of 25 and 55.